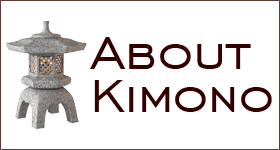 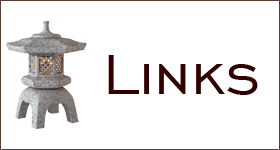 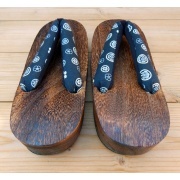 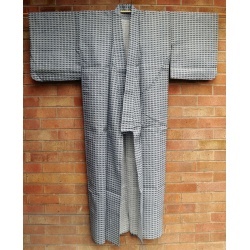 Vintage & Antique Traditional Japanese Kimonos, Haoris, Yukata & Obi Belts in the UK. 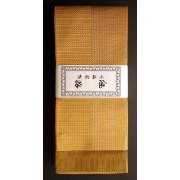 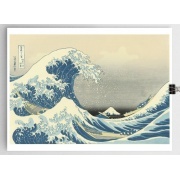 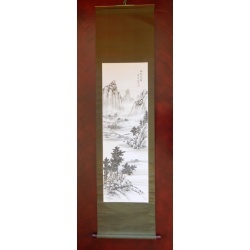 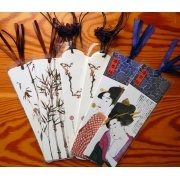 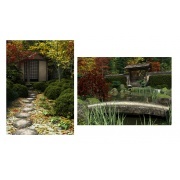 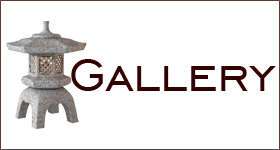 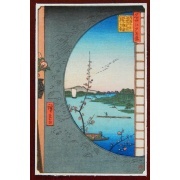 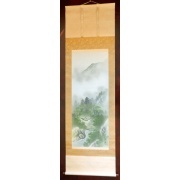 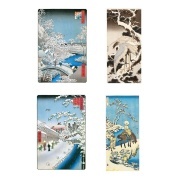 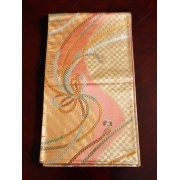 Plus - Wall Hanging Scrolls, Noren Curtains, Woodblock Prints, Cards & Mugs. 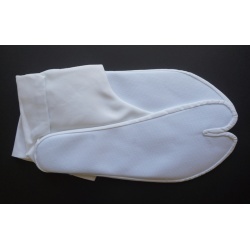 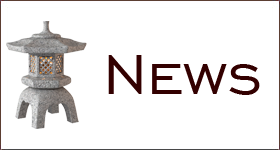 Lots of products added regularly so please take a look and see what's new! 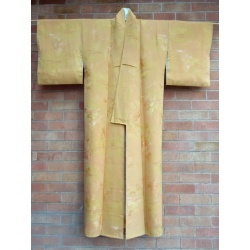 Vintage Japanese golden silk kimono with landscape design. 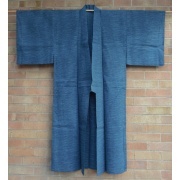 Vintage Japanese men's silk tsumugi indigo kimono with fortune hexagon pattern. 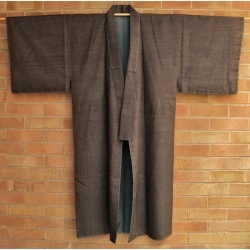 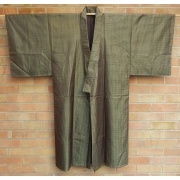 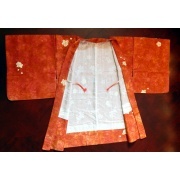 Vintage Japanese men's plain brown tsumugi silk kimono. 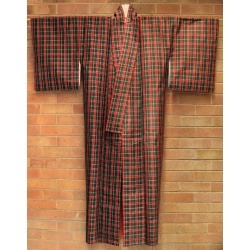 Vintage silk Japanese kimono with check pattern of red, green and white on a black background. 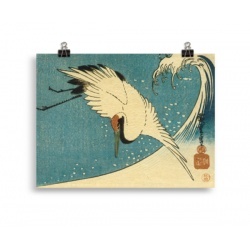 Print of "Crane and Wave" by Hiroshige 1830s. 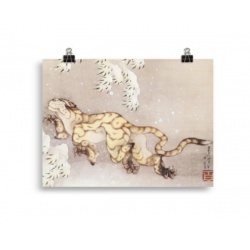 Print of "Old Tiger in the Snow" by Hokusai 1849. 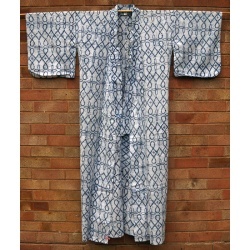 Vintage Japanese men's silk dark blue kimono with kasuri pattern. 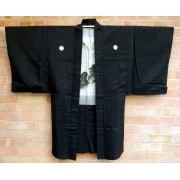 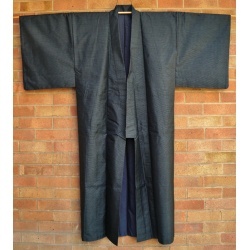 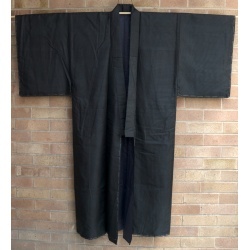 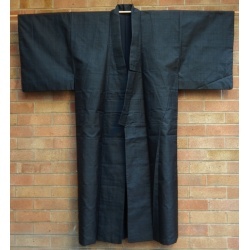 Vintage Japanese men's silk indigo dark blue kimono with fortune hexagon pattern. 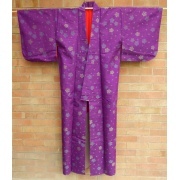 Japanese vintage cotton yukata for women, with pattern of loops and flowers. 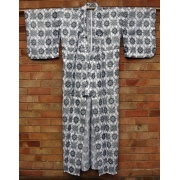 Japanese vintage yukata for women, with blue and white abstract design.